Awilix from Smite got a damn nice Artwork! 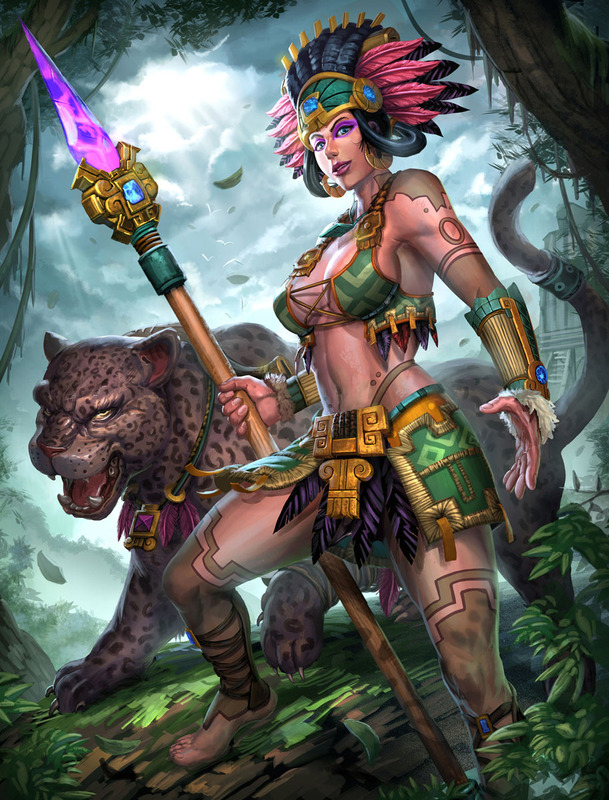 Awilix is one of the currently newest Gods added to the third person MOBA game Smite and she is one of the mayan based gods there. Brolo who worked on multiple illustrations of the characters in Smite delivered them a damn nice piece of art I think..and I found it a shame that these illustrations are not available in much bigger resolutions. Even in the Smite Wiki and on Hi-Rez Studios website you can find only relative small versions of the artworks around 500 pixels tall. Brolo shared this version which is a bit bigger at least.